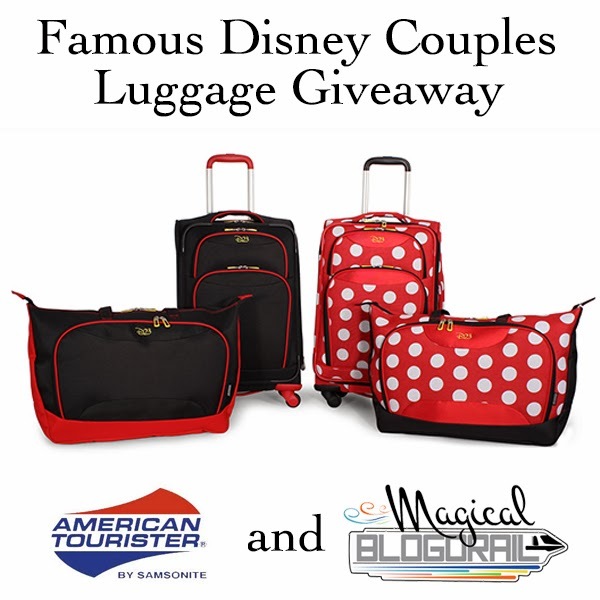 I was excited to see the Magical Blogorail's American Tourister giveaway (if you didn't see it the first time check out my American Tourister review) would focus on Disney couples! They may not be your average Disney couple but Lilo & Stitch will always hold a special place in my heart. There is something about the magic of their friendship that warms my heart. One of the best thing about celebrating friendships around Valentine's Day is how it helps us remember that the best husbands & wives start out as the best friends. My husband and I have met Lilo and Stitch on all six of our Disney trips together! My favorite place to meet them is at their Best Friends Breakfast at the Polynesian Resort. I love the food and that they are rocking leis. You can also catch Stitch out and about posing in the parks. I still remember the first time I saw Lilo and Stitch on the big screen. I had recently become smitten with Elvis. I remember my first year teaching when I had an Elvis war poster up in my classroom and kids started calling me Lilo. The soundtrack is one of my very favorites. I love Hawaiian Rollercoaster Ride! And I love Hawaiian music! When Stitch licks the councilwoman towards the start of the film his saliva makes a momentary Disney "D". In one scene Lilo throws her doll Scrump on the ground. When she runs back and picks her up the doll begins to smile. Lilo and Nani's parents died in a rainstorm. When Lilo wants to feed the fish Peanut Butter and Jelly sandwiches, she insists it is important because Pudge controls the weather. Lilo means "generous one" and Nani means "beautiful"
Now, here's a trivia question for you! 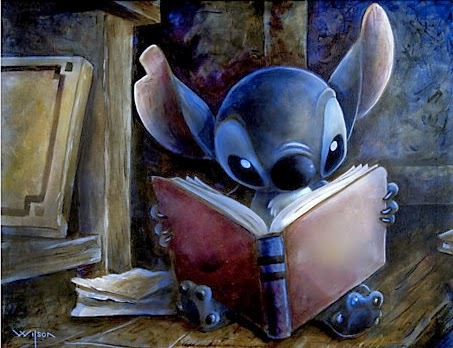 What storybook does Stitch read in the film? Enter to win a Disney inspired D23 2-piece luggage set. No purchase necessary to enter. Just read about a famous Disney couple and answer the question in the post. There will be a new post daily through February 7 so keep checking back for additional chances to enter. There will be two winners in the giveaway. Each winner will receive a Disney Inspired D23 2-piece luggage set valued at $100. Design winner receives will be chosen at random. Contest begins Jan 27th 2014 and ends February 14th 2014 at midnight EST and is only open to U.S. legal residents 18 years and older with valid email address.